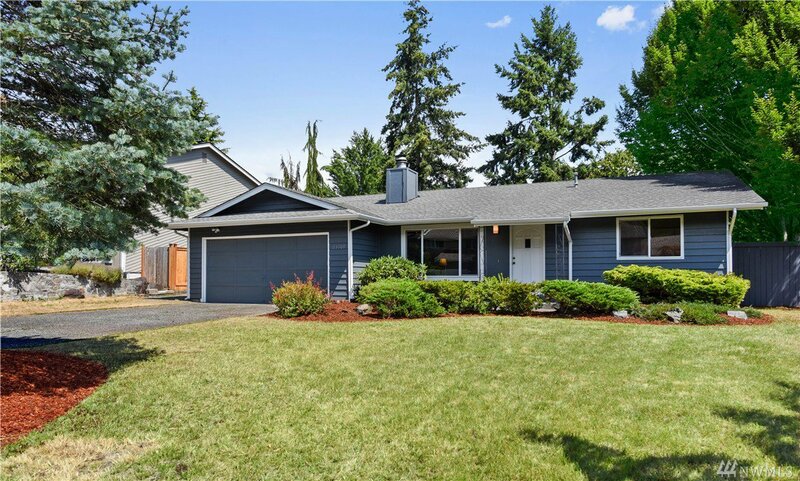 Updated Rambler on quiet cul-de-sac renewed w/modern style & charm. Renovated w/new windows, doors, flooring, lighting, paint & more. New Kitchen has cabinets w/granite countertops, subway tile backsplash, SS Hood vent, crown mldg, tiled flrs, recessed lighting & skylights. Baths remodeled w/tile flrs, cabinets, granite & Quartz countertops & bksplashes, tub & shower w/tile surrounds & glass enclosures. Fully fenced, & large patio. 2 car garage, Edmonds Schools. Great location near Hickman Park.